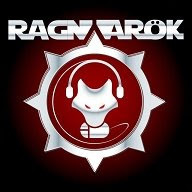 The DotA people from Guadalajara, Jalisco, Mexico now have a DotA tournament called Ragnarok. From August 1 to 2, it will be a day filled with Mexican DotA events with about 700 dollars at stake for all those DotA gamers who get to the top. They got big screens for spectators, so if you're interested, pack your bags up and cross the border to Mexico.